The tipple for Dry Creek Coal #2 at Summit Springs has been finished and the scenery surrounding the structure has been completed. 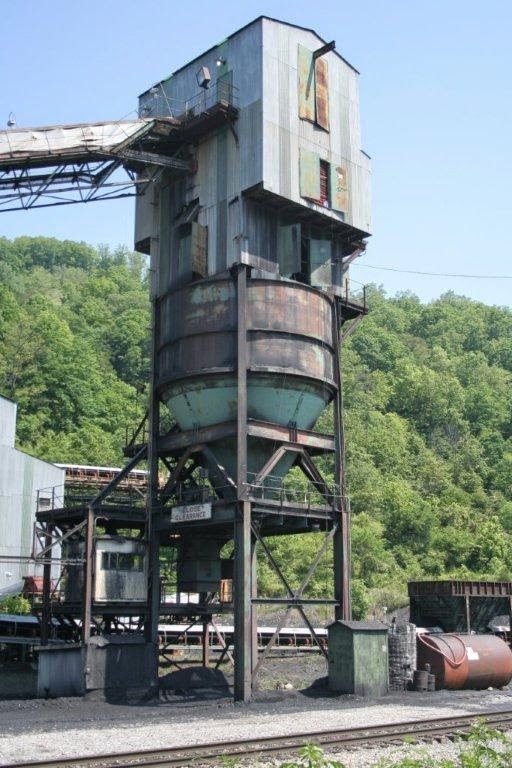 As mentioned in previous posts, this structure is based upon Virginia Iron and Coke Company's 10-K tipple at Esco, Kentucky. 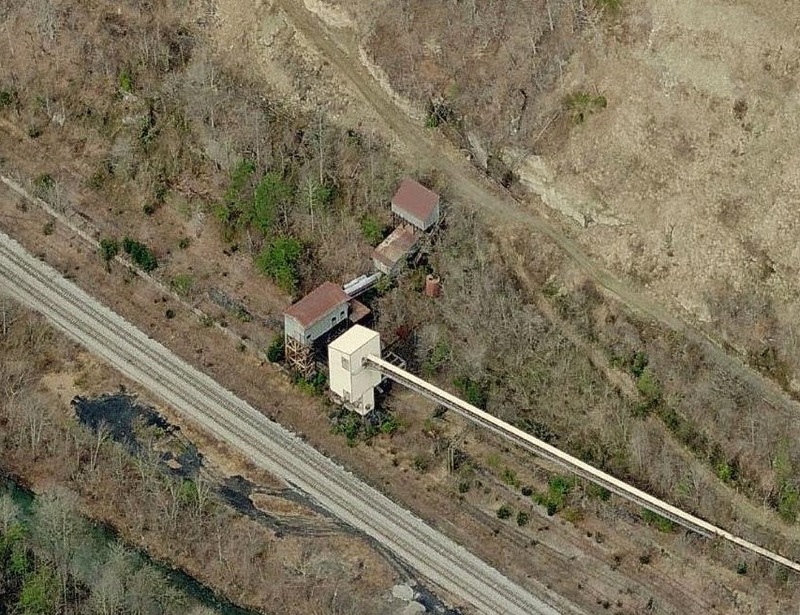 Below are some screen shots from Bing Maps that show the tipple several years ago. There are also several great shots of the tipple in "Appalachian Coal Mines and Railroads in Color, Vol. 1, Kentucky: The Color Photography of Everett N. Young" by Stephen M. Timko. One of the shots in the book shows the original loader in 1985 prior to construction of the adjacent flood loader shown in these pictures. I was trying to capture the look of the original installation. Due to space constraints and the track layout in this area, I had to change the basic set-up of the tipple. I also couldn't model the truck dump, so I had to settle for a small conveyor that heads up the hill into the trees. The tipple loads 6-8 cars per day and is worked by the Springs Man out of Nelsonville. At some point, the tipple may get worked by an eastbound coal extra which would pull the westbound loads and spot them on the siding. 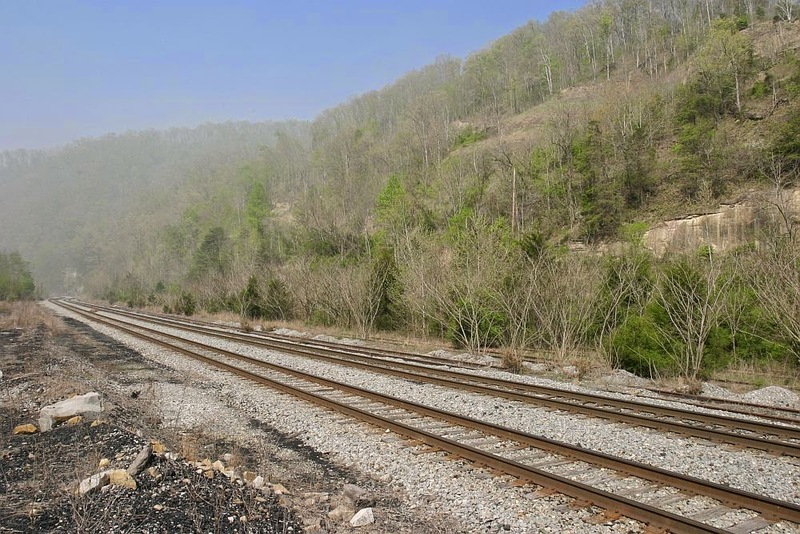 The eastbound movement would then spot empties before proceeding to Nelsonville to fill out with eastbound coal. Later in the day, a westbound coal extra out of Nelsonville would fill out with the loads at Summit Springs for the trip to North Pierce. The photo below shows the overall area looking west. Some additional detail will be added at some point, including the ever present rusty barrels and a derail to protect the main line. The idea for the small pump house and oil tank came from the shot below that Robby Vaughn took of a loader in southeastern Kentucky. It's a good thing that Everett Young captured the photos he did of the tipple. Robby Vaughn recently visited the area and took the photo below. 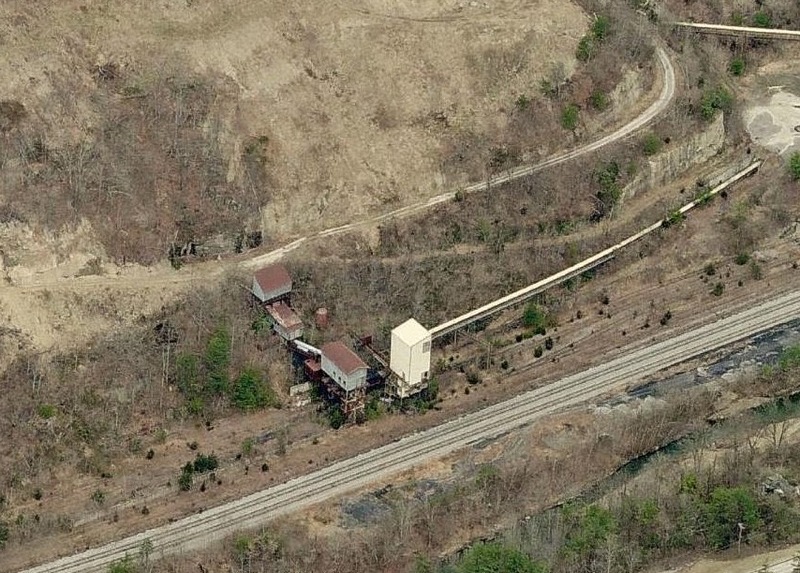 The large, concrete silo off to the right of the tipple in the Bing map shots is still there, but the original tipple and flood loader are gone. And while the tracks for the tipple remain in place, it's unlikely this location will ever load coal again. There were confirmed reports yesterday of an unattended campfire on the Forest Park Southern. This time, the campfire was captured on film by two people traveling through Beagle Creek and the photo below shows the campfire dangerously close to the general store. 1) The perpetrators are vertically challenged. 2) It's not where it appears to be in the photo. 3) It's not in a building. Forest Park Southern officials are relieved that the fire is not purportedly in a building after the disastrous destruction of the roundhouse roof at Random which was caused by a similar act of vandalism. Local officials are concerned, though, given the inability of the railroad's local officials to find similar fires in the past. Said the mayor of Beagle Creek, "I hope we don't have to call in the CEO of Forest Park Industries on order to find the fire. Several other communities around here have had to do that in the past. It's hard to believe these railroad guys can't find a fire. Most of us around here just look for the smoke." 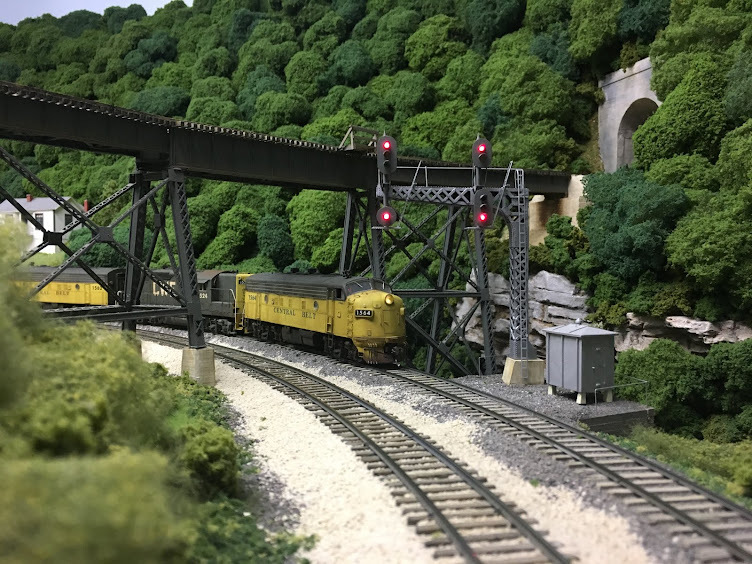 The full length video of the CWE that appeared in the November 2013 edition of TrainMasters TV is now available for viewing as a free sample. 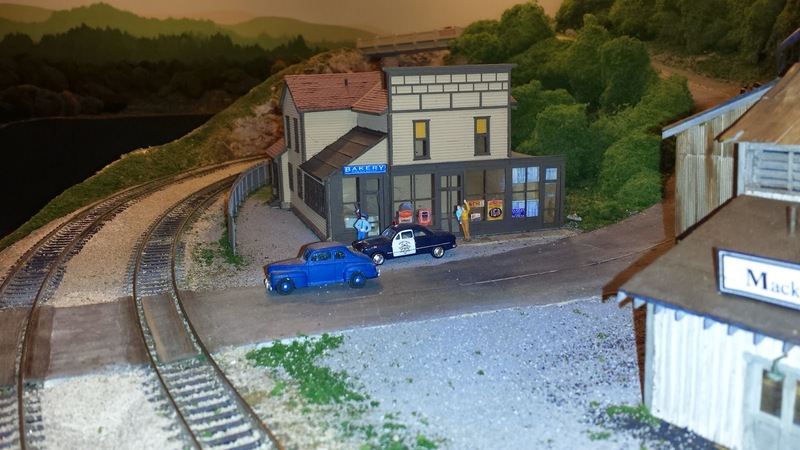 If you enjoy the video and some of the other free samples, consider signing up for TrainMasters TV. Here's a link to the video: http://www.trainmasters.tv/videos/tmtv-2013-11-act-iib.